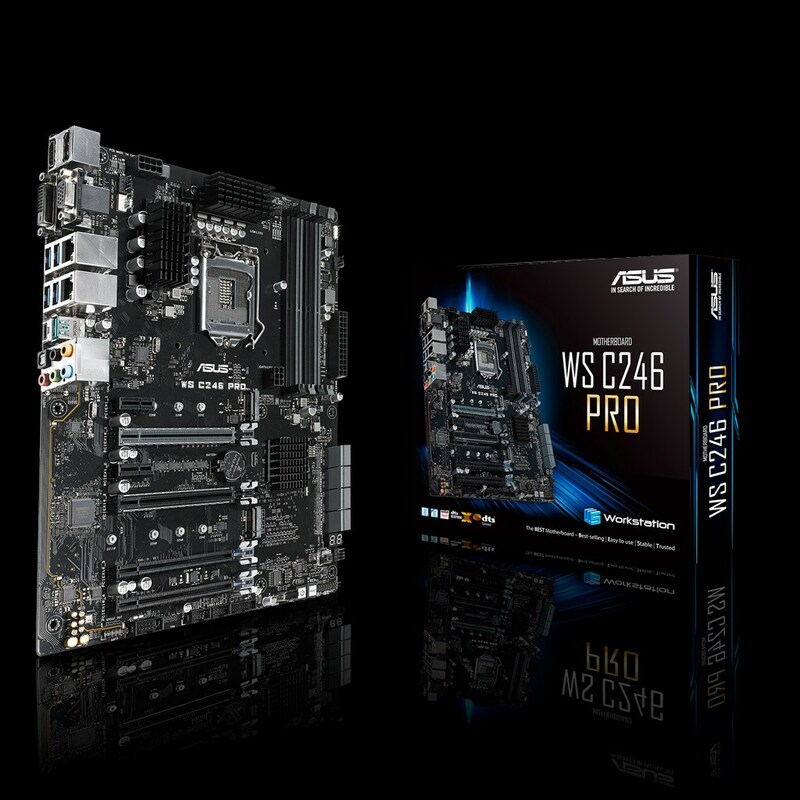 ASUS has just released its first motherboard, the ASUS WS C246 PRO, equipped with the Intel C246 chipset. 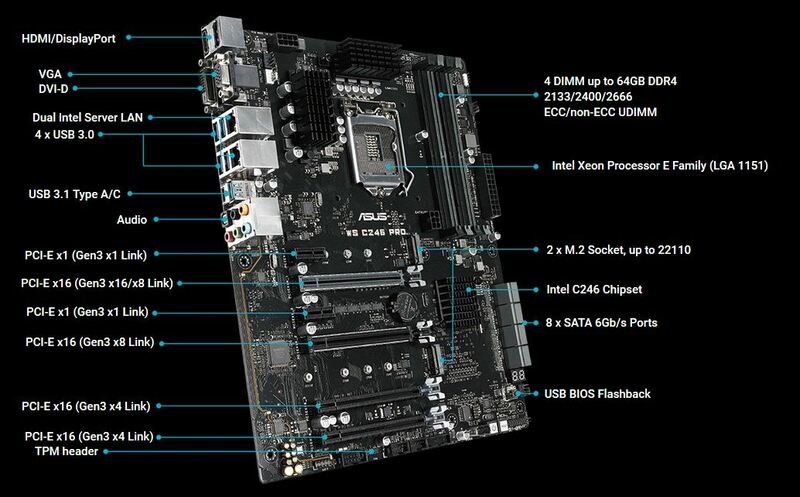 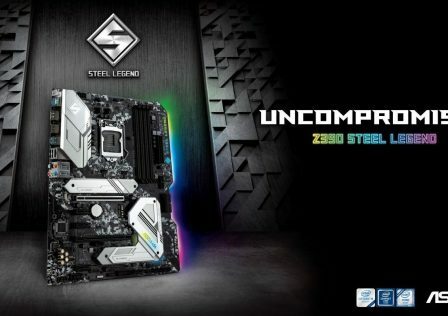 This particular motherboard supports the latest of Intel’s Xeon E-series processor. 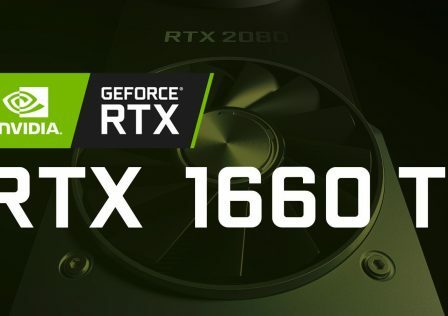 But can you game on it? 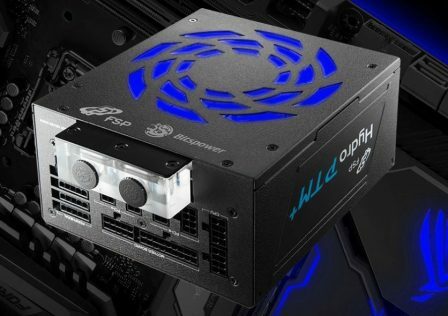 I don’t see why not given the fact that it supports any feature a typical gamer would want such as four PCIe 3.1 x16 slots. 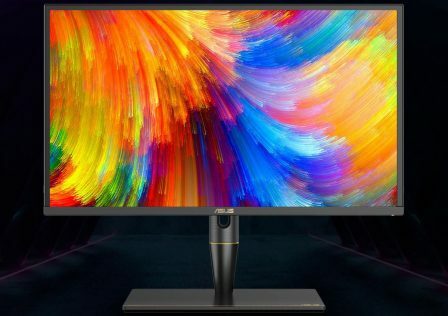 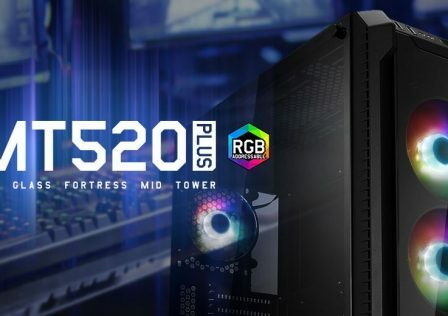 However, the WS C246 PRO is geared more towards high powered workstations and servers so likely not a lot of overclocking support. 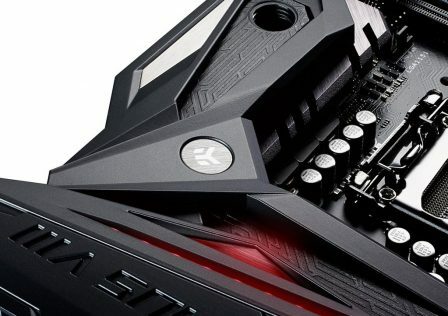 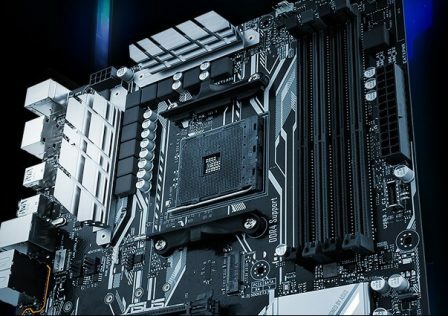 In addition to the 4x PCIe slots, the new motherboard features two M.2 slots for motherboard mounted SSDs, and eight SATA ports. 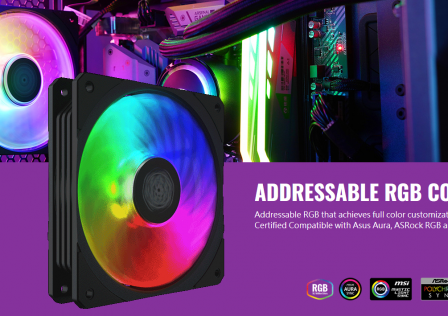 If SAS drives are more your color, ASUS is offering an optional eight-port SAS 12G RAID card. 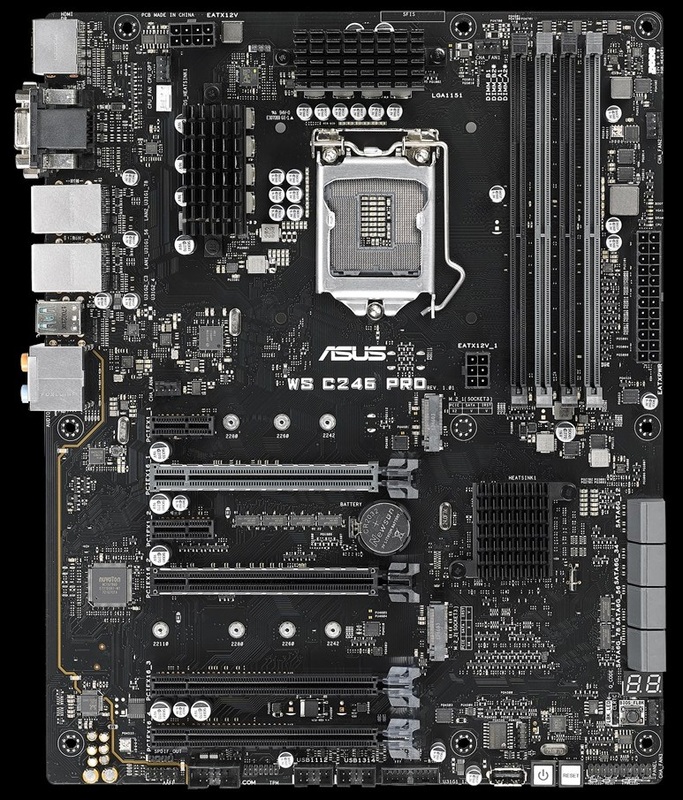 CPU support for the ASUS WS C246 PRO motherboard is geared around the Xeon E-2100 series processors. 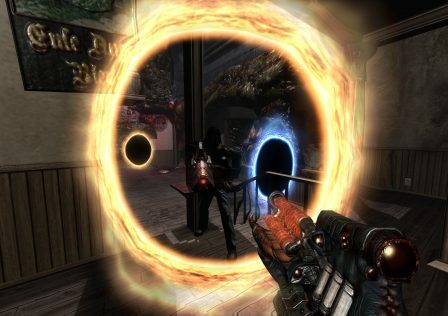 This is based on the Intel C246 chipset. 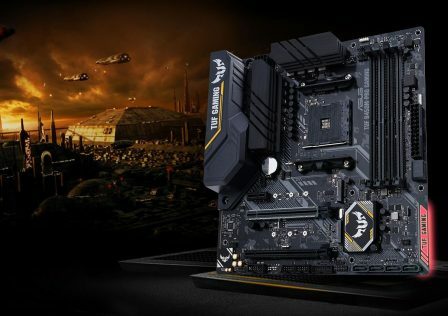 While the motherboard is geared more towards high end workstations running Xeon processors and ECC RAM, the WS C246 Pro will also work with the Intel 8th Generation processors such as the Core i3, i5, i7 along with the LGA1151 Pentium Gold and Celeron processors. 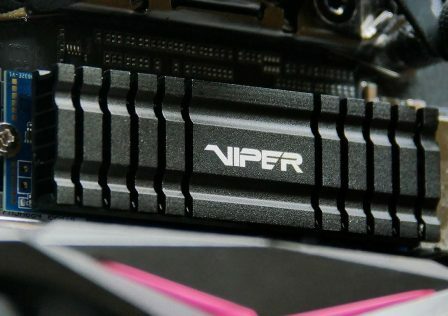 Power for the CPU is provided by an 8-phase VRM using high end solid state inductors and caps. 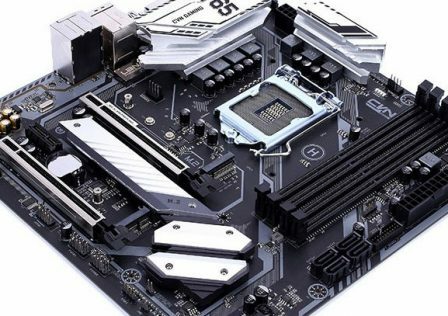 Interestingly enough, the motherboard is not equipped with a TPM (Trusted Platform Module) although there is a slot to add one if needed. 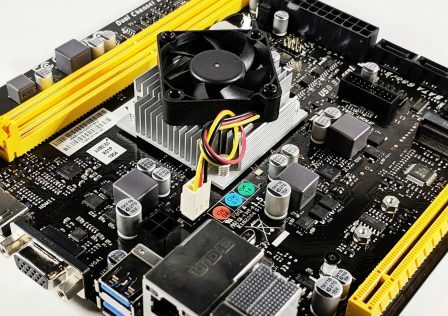 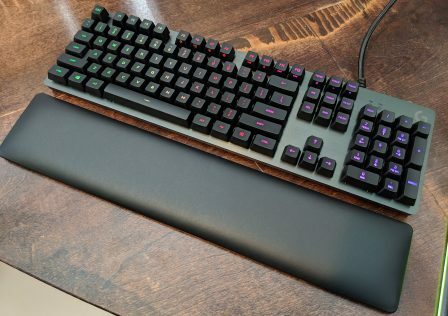 Typically we see these included with high end workstation boards.